D = Main office building seperate detached building from the works, must have been where the accounts/ money was counted or held due to those iron bars set in the windows! Taken after the works closure around the mid-late 60's. E = Shot of the actual works builings it self, the Main office building can be seen in the background, built around 1900. 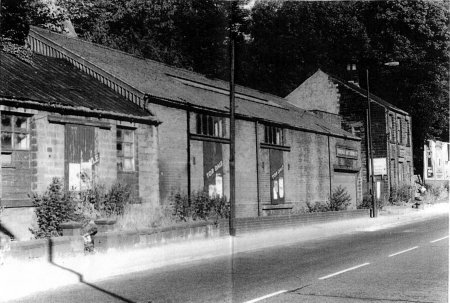 The works themselves where seemingly rebuilt (EST 1920's?) as the building in this photo do not match to the maps and plans of 1900. Taken around the late - mid 1960's. Got more info about Whittaker? Whittaker's World Famed Derbyshire Mineral Waters. Bass and Worthington's Pale Ale. Quinine, Teak and Iron brew. Soda Water, Lemonade, Ginger Beer. Champagne Cider &c &c in bottle and syphon. Extract from Article by Dr Hamilton Seymour in "The Age", August 1904. "One of the most valuable mineral waters that I have ever examined is produced at the Matlock Bath Mineral Water Works, the property of Mr Whittaker. The reason is that all the water used at this establishment is from the same springs as the famous water at the Baths - of which I intend to speak in another article; for I believe it to be from an all-round medicinal standpoint the most valuable water in Great Britain. I have personally visited the essences, syrups and system of generation? and bottling of Mr Whittaker's soda water, lemonade, ginger ale etc, and find everything used is of the very highest standard of quality, and the greatest care and clenliness are maintained. I recommend most highly Mr Whittaker's pure and valuable mineral waters". Ask for Whittaker's mineral waters. "How's that for a drink? ", reply "Immense." 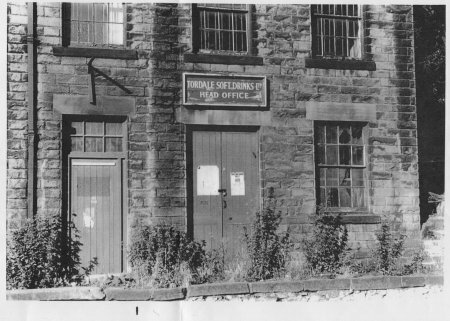 Whittaker's manufactured Tordale Minerals made from the spa water, which drained off Masson Hill (near Masson Mill at Matlock Bath) and also supplied alcoholic drinks under licence up to the 1960s. See also e-mails sent to the author on the subject.